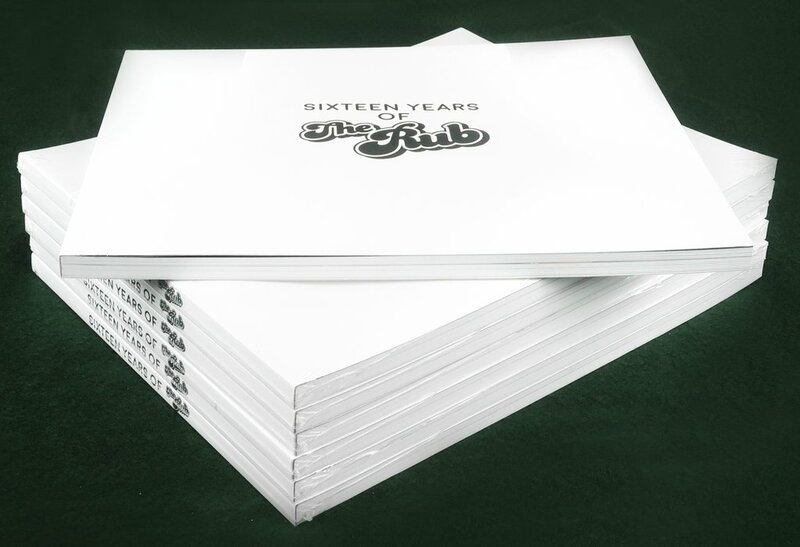 The Rub » 16 Years of The Rub Photobook Now On Sale! 16 Years of The Rub Photobook Now On Sale! The very first Rub was July 27, 2002 at Southpaw, in Park Slope, Brooklyn. In 16 years and 200+ parties, The Rub has toured the world, recorded a gazillion mixes, release countless records and CDs, and won a slew of awards. The idea and inspiration for the structure of Sixteen Years of The Rub came from Kenny Rodriguez, an accomplished photographer who one fateful night early in the party’s life set out to document an entire evening at the Brooklyn party, from before the doors opened until after all the party-goers had left. Following Kenny’s idea, the book starts at 9:30 PM and ends at 4:00 AM, with detours into crowd shots, guest DJs, the annual Halloween party mayhem, and lots of drunken hookups. Most of the images are Kenny’s, but ShoShots and Ian Meyer graciously contributed some of their favorite photos. The result is a beautiful 150 page book full of joyful images of party people lost in the music. Pick up this photographic history of The Rub in our Merch Store now!